One of the wonders in the province of Samar, Philippines is the fourth-class municipality of Tarangnan. This is located in the western coast of the province and southeast of the town of Bangahon and north of Catbalogan, the capital of Samar province. The municipality was able to secure its own hospital as inaugurated in 1982. This caters to health services and augmented by the extension workers of the Rural Health Unit. The municipality of Tarangnan has been the first settlement of the missionaries of the Jesuit during the 17th century. Although Tinago was the first cabecera or capital in Samar, the Moro attack devastated it in 1616. So the Jesuits decided the transfer of the cabecera to Catbalogan instead. Temporarily, the settlement was established in Dapdap, but was moved to Tarangnan due to issues of sanitation and access. Only in the 2nd half of the 19th century did Samar island experienced commercial development, particularly exports and imports of abaca products. During the occupation of the Spaniards, raids conducted by the Moro has declined, which paved the way for future developments in the municipality. In fact, the settlements were now focused on the old town site of Tarangnan that was considered a very accessible location for the Spaniards and the local inhabitants as well. The prospects of being a trading center has been observed by the Spaniards and then moved to transfer the Poblacion from Dapdap to Tarangnan. Serving as a hideout of the Spanish missionaries in the 15th century, the church built in the mountain barangay of Dapdap in Tarangnan. This is also referred to as the Tinago church, which became a landmark of the Spanish regime back in the days. When it comes to attractions, the municipality of Tarangnan can be a passage to several other destinations in the province for tourists of various descent. Thus, Bangon Falls is one of the major attractions within the city limits of Calbayog that offer true beauty. Those who seek to venture into a remotely exotic location, this is the place to be. 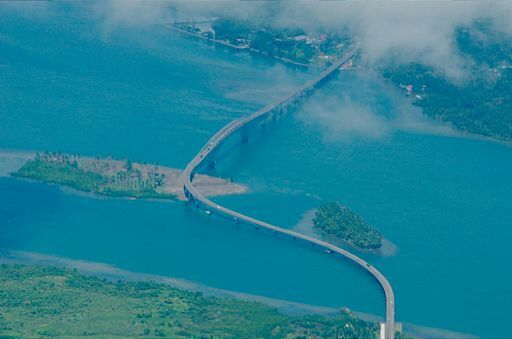 If you love to see a whole new sight that the Philippines is able to provide, then you should be amazed with the San Juanico Bridge. It should be a great experience if you can travel by land from the city of Tacloban in Samar. By then, you can ride a bus that will commercially take you to the border of Leyte and Samar. This bridge actually links two of the great islands of the Philippines, namely Leyte and Samar provinces. This bridge spans about a couple of kilometers which should offer a great view for tourists riding a car or bus. So, before going to Tarangnan, Samar, it should be a great experience to take advantage of the sights along the way. The municipality of Tarangnan is just a couple of towns away from the city of Calbayog. So, if you want to travel quickly, you may take the flight to Calbayog from major airlines in the country. From there, you can ride a car or a bus to get to your destination, which is an hour drive from the city.